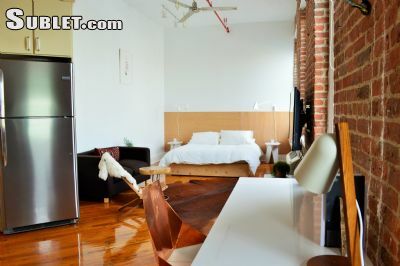 Come enjoy this bohemian chic City View Studio Loft apartment in an authentic 100 year old converted Brooklyn factory. All utilities are included and there is weekly professional cleaning service, linens and towels are included and changed weekly. The loft features a large open floor plan with a brand new kitchen featuring stainless steel appliances including dishwasher. 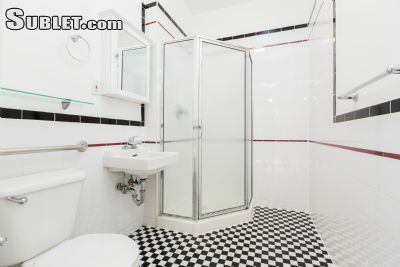 There is a spacious bathroom with a large shower. The loft is decorated with custom made furniture and original artwork throughout. The alcove bedroom area features a queen sized bed and an originally designed one of a kind custom headboard. There is a 42 flat screen TV with free cable provided. Free Wifi is available as well. The building has a laundry facility on-site, and bike storage in the basement. Pet friendly, however no pets over 25lbs. 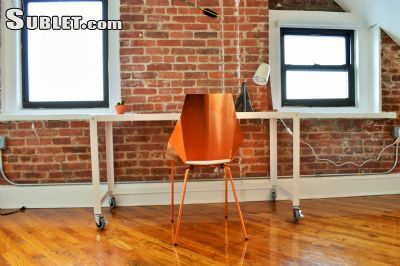 Located on a quiet industrial street just steps from the more residential area of a Greenpoint and 2 blocks from the lovely McGolrick Park, where there is a farmers market every weekend. 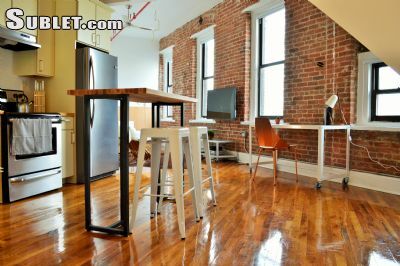 The loft is walking distance from many trendy restaurants and bars, one block to the bus, and an 8 minute walk to the Nassau G train which connects to the Manhattan bound L Train, 7 Train, and E Train. Commute to Manhattan in less than 45 minutes from your door. Also a short walk to the film and production studios in Greenpoint. 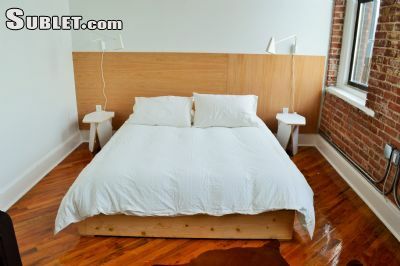 It is also in very close proximity to North Williamsburg and all of the shops, entertainment and nightlife. An easy commute and short cab ride to most areas of Manhattan. Come enjoy a true artisan Brooklyn experience!Now offering up to 6 month leases. Please do not hesitate to contact us with any questions!